Has your grass started to grow like crazy? If your grass has started to grow like mad there’s a very good reason for it! It’s called the ‘spring growth surge’. As the temperatures start to rise and reach the optimum growing range plants will experience a growth surge which means your grass too will see an increased level of growth. So What is the spring growth surge? As the name suggests, the surge in growth occurs in spring as a result of warmer temperatures which also increase the temperature of the soil. As you may have also started watering and applied an application of fertiliser, your lawn will be able to come out of winter dormancy which generates growth not only for the leaves but also the roots of your lawn. What do to if your lawn has had a surge in growth? It is important to not over fertilise any one particular area of your lawn as this can cause excessive leaf growth (and mowing!) which coming out of winter may start to make you think your lawn is no longer a low maintenance option. It is best to ensure that you are watering and fertlising your lawn in line with the rates indicated on your particular fertiliser, as the weather in Perth has been quite hit and miss you may also need to monitor the amount of water you are applying as the rain may be enough for this time of year. Aerate your lawn to ensure that the water is moving throughout the roots of your lawn and it may also be a good idea to apply a soil wetting agent to help your lawn from drying out as the weather heats up. For more information on soil wetters see our previous blog post. Will this surge in growth last long? Don’t stress too much, the extreme growth rate occurs during spring and only lasts for a few weeks until the growth rate normalises over summer. 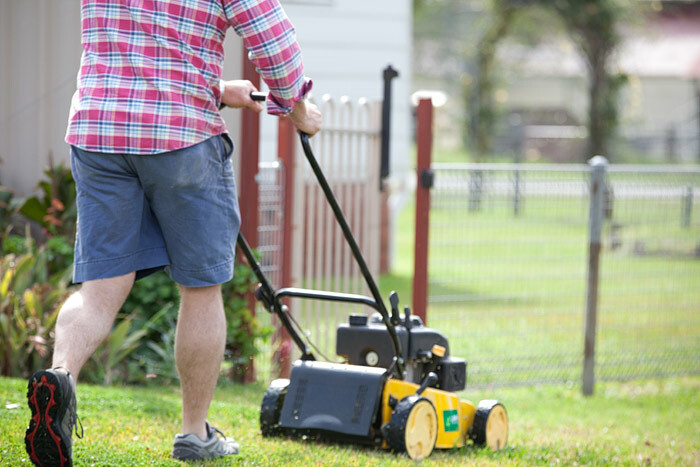 It is recommended that you start your mowing regime and in some cases it may be more frequent during the surge to ensure you are not removing more than 1/3 of the leaf each time. For more information on best lawn practices visit our blog page or feel free to call our Perth office on 9303 2627. Newer PostIs there such thing as a 'water wise' turf? Older PostHow to Choose the Right Turf Supplier in Perth?